A roof’s ability to ensure reliability and withstand wear and tear depends on a number of things. They include the materials and products that comprise it. When replacing your roof, look for materials made by trusted names in the industry. 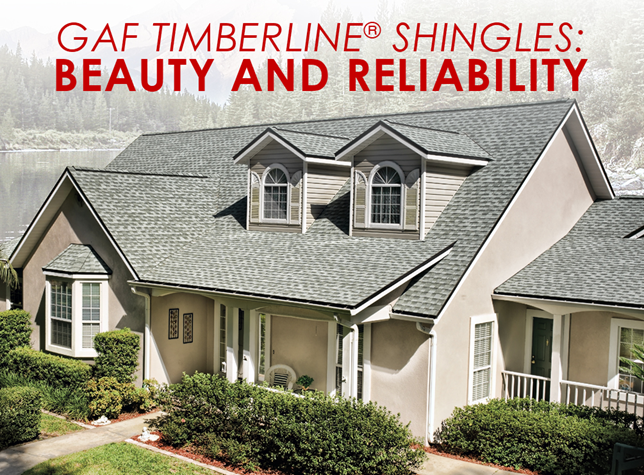 GAF, a leading manufacturer or roof shingles, offers the Timberline® Lifetime Shingles. As one of the trusted roofing contractors in Norwalk, CT, Vinylume shares what this product line has in store for you. Timberline Ultra HD – With a wide range of colors to choose from, these shingles are the best choice. They are ideal if you are going for an ultra-dimensional wood shake look. Timberline American Harvest – These shingles offer value and performance with a custom color palette. They are architecturally stylish, without being costly. Timberline HD – These shingles are specially designed to enhance the beauty and protection of your home for years to come. Timberline Natural Shadow – These shingles provide a natural wood shake look. Timberline Cool Series – These special shingles reflect sunlight effectively. They also help reduce attic heat absorption and build up, helping you save on energy. Timberline ArmorShield – They are Class IV impact-resistant shingles. They can even help save on home insurance in some areas. Get in touch with Vinylume, one of the most reliable roofers in Yonkers, NY, today to learn more about GAF Timberline Shingles and their features and benefits. Call us now at (866) 244-8029 to schedule a free, no-obligation consultation.